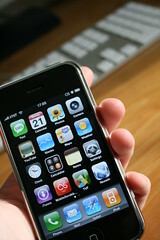 The year 2012 witnessed the explosion of mobile application (app) technology. This is largely as a result of the flooding of mobile devices like Smartphones, tablets and notebooks in the market. The year 2013 and beyond, promises plenty of new developments in the mobile application arena. More importantly, developers and marketers have been burning the midnight oil to come up with apps that run smoothly across all platforms and browsers. As this type of technology evolves, marketers and businesses will continue to witness new trends in this dynamic industry. The development of native apps was not only costly but it was also inefficient and time consuming. For example, such apps require plenty of professionals such as engineers, project managers and QA testers to come together for the project to succeed. The development of HTML5 changed the whole game considering the fact those developers and designers only need to code a single platform to cater for all operation systems meaning that collaborations of larger teams aren’t required or needed. This means that whether you are using Android, Symbian or iPhone OS you will be able to access the web without much difficulty. The development of HTML 5 also makes it easy developers or designers to easily update their apps without much hassle. In a nutshell, HTML5 has become the standard across all platforms. 2013 and beyond will experience an increase in location-based marketing. There are plenty of apps being developed to enable marketers push instant offers based on the location of the user. Such apps will help marketers drive customers drive into their stores or business premises. Additionally, more apps are being developed to create long lasting relationships where customers are rewarded through a point based rewards system. Mobile tracking is another new trend that is bound to take prominence in 2013 and beyond. Although many users do not like the idea of being tracked, developers and businesses being churned out new apps are making tracking a mandatory requirement for anybody looking to download their apps. Business and marketers know the benefits of tracking and as such, there is immense effort to make tracking more accurate and effective. Mobile tracking enables marketers’ and businesses to know the habits and behaviors of the customers thus fine-tune their offering in order to squeeze in more profits. The year 2013 and beyond is going to witness the increased use of mobile coupons and mobile payment technology. The development of geo-targeting and near field communication (NFC) technology means that more and more people will use their mobile devices to redeem coupons and process payments. This spells good news to online businesses. Learn more about Rippln and other online businesses to get into the action. The development of mobile coupon ad unit apps and apps for mobile payments indicate the importance of mobile devices to marketers and businesses moving into the future. Business and marketers are required to keep up with latest apps trends if they hope to remain competitivee. Luella R. Ferrell love to help people find creative ways to spread the word about their creative projects.